CloudFone has announced their latest Android Jelly Bean smartphone, the CloudFone Thrill 530QX, featuring a quad core processor, a nice 5.3-inch IPS qHD display, a 12 megapixel rear facing camera and more. The best part about the Thrill 530QX is that it has an attractive price tag. Check out more features, specs, price and release date (availability) below. The CloudFone Thrill 530QX is basically the successor of the previous Thrill 430x. This time, the Thrill 530QX is powered by a quad core processor clocked at 1.2GHz paired with 1GB of RAM and a 4GB internal storage. Graphics processing is handled by a PowerVR SGX 544MP making sure that you can play your favorite Android games. But I do hope local manufacturers would set 8GB or 16GB as the minimum or standard internal storage since 4GB is very insufficient nowadays. 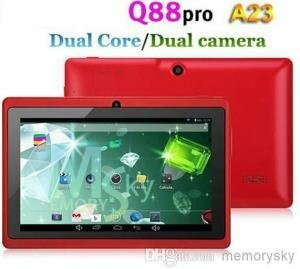 It runs on Android 4.2 Jelly Bean out of the box, and features a nice 5.3-inch IPS qHD display with a resolution of 960×540 and 208 pixel per inch density. 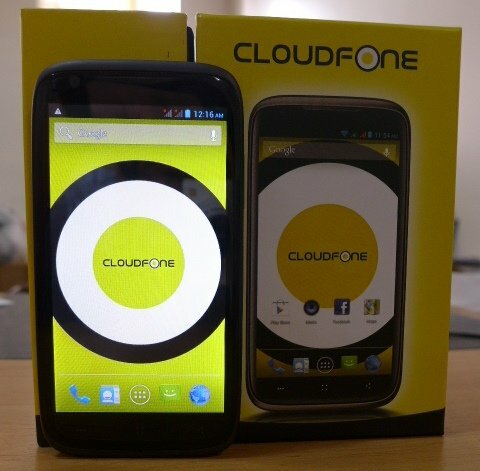 The display is not the only thing that is big in the new CloudFone Thrill 530QX. It features a huge 4,5000 mAh battery that can last up to 2-3 days on regular use, and about a month on standby. But we still need to see real-life test on this to see how far will the 4,5000 mAh on the Thrill 530QX last. The CloudFone Thrill 530QX also features a 12 megapixel rear facing camera paired with a 5 megapixel front facing camera. The 12MP rear camera has auto focus and LED flash, but it is still unsure if it has BSI sensors for low light shooting. The 12MP rear camera also features HDR, smile detection, burst shot and more. Other features like Dual SIM / Dual Standby, Smart Gestures, and USB On-The-Go (OTG) are also present in the Thrill 530QX. It also features an ergonomic design, and is only 11.8mm thin at its thickest point and weighs only 200 grams. Check out the rest of the features and specifications from the table below. 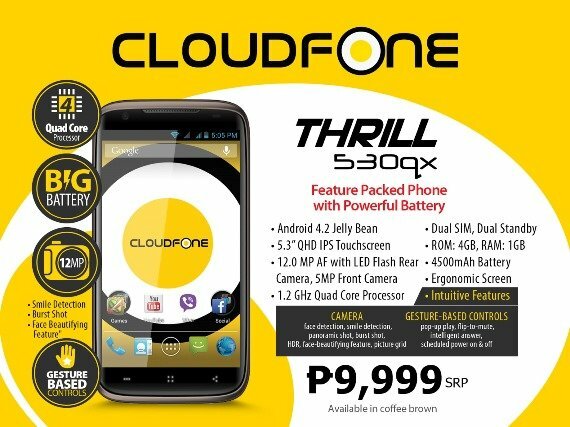 The CloudFone Trill 530QX has a suggested retail price of only Php 9,999 locally, that’s just around $235 USD more or less. The Trill 530QX will become available starting October 1, 2013 at authorized retail stores. Judging from the specifications and features alone, I think the price is just right and would be a good cheap alternative to high-priced 5-inch android phones. However I do hope to stop using 4GB for internal storage. Come on its 2013, storage shouldn’t be an issue anymore. 4GB years ago is really 4GB and feels a lot of storage room. But now 4GB is very insufficient.